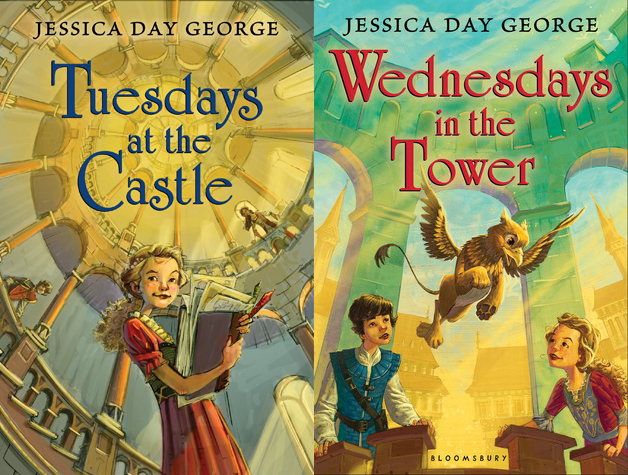 Today I have the lovely Jessica Day George here to answer a couple of questions in honor of her recent release Wednesdays in the Tower. 1. What's your favorite story that features a castle? 2. You write fantasy novels, do you have some other genre stories sitting around your house unfinished? Or are you strictly fantasy? I have two Regency romance novels on my hard drive that I will one day publish! 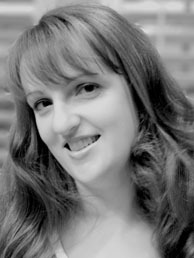 3.What are some differences between writing middle grade and young adult? In middle grade I feel less pressure to include a romantic subplot. I also tend to have more action-driven plots in my middle grade, and more character-driven in my YA books. 4. What is a book you've read recently that you can't stop recommending? Where’d You Go, Bernadette? By Maria Semple. A lovely, well, dramedy that’s for adults, but I totally recommend to teens as well. 5. Describe the Castle Glower series in 5 words. Magic castle loves its princess. Jessica Day George is the author of many novels including the Princess series, Dragon Slippers series and of course the Castle Glower series.